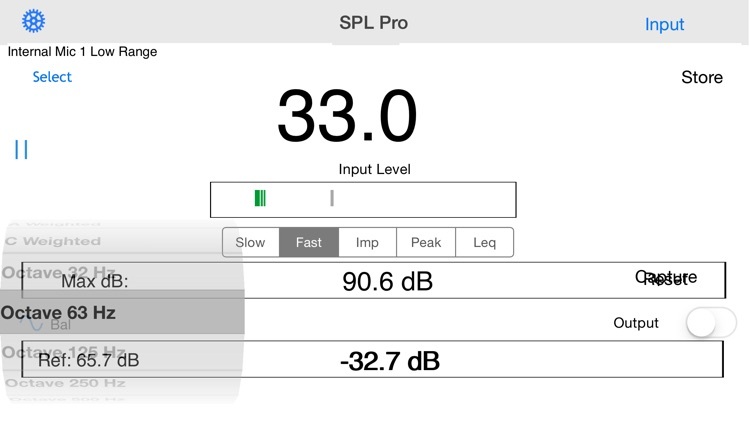 SPL is a professional-grade digital sound level meter (decibel meter) for your iPad, iPhone or iPod touch. 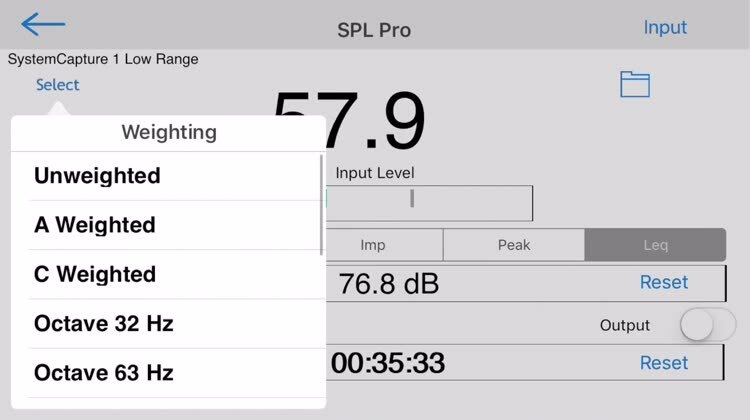 It includes all of the modes, filters, and features that you would expect from a professional ANSI or IEC Sound Level Meter. All filters and averaging modes meet or exceed the criteria for ANSI Type 1 standards or better. SPL is created from the same team who brought you the Audio Toolbox and ATB Plus. 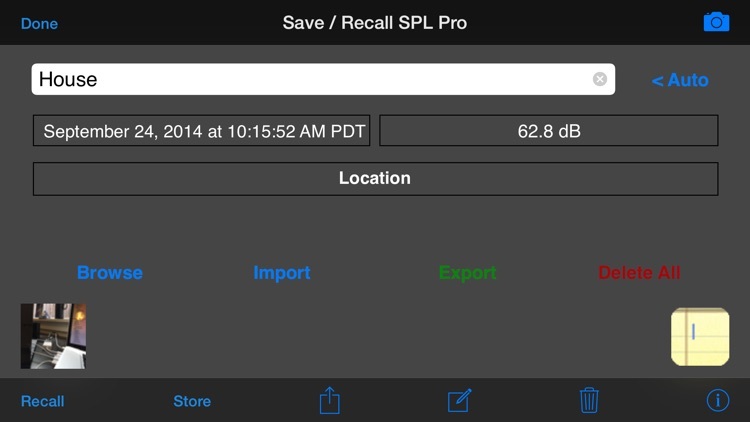 Store Results -- Uses the same powerful Save / Recall engine as our premier app, AudioTools. Allows storing GPS and time-stamped results, and exporting them to your computer. 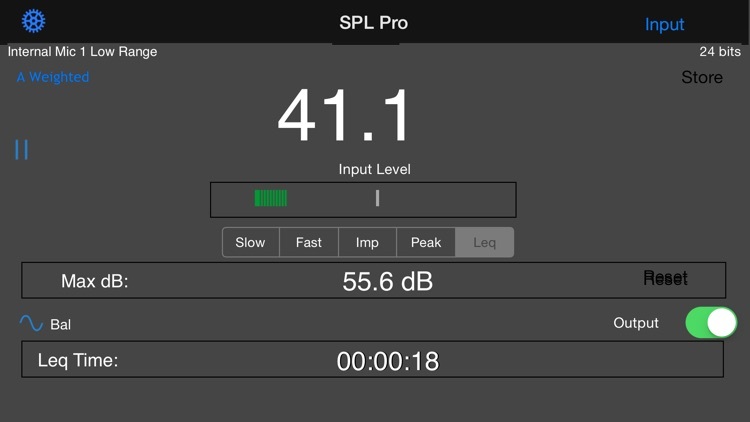 You can also use SPL with our calibrated iPhone measurement mic, iTestMic, or iAudioInterface. The screen flips if you turn the phone upside down, so that you can point the built-in iPhone mic directly at the sound source. *** Modes: Slow, Fast, Impulse, Peak, and Leq. 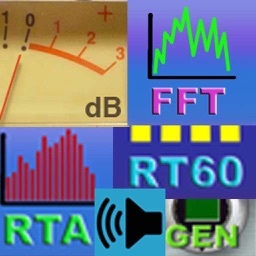 *** Filters: A and C weighting, and 10 octave band filters. *** Includes a resettable Max field to track the highest reading. *** Includes a reference field (except in Leq mode) so that you can set a reference level and do seat-to-seat comparisons. The SPL meter can be fully calibrated. It comes preset with the calibration for a typical iPad, iPhone, and iPod Touch. 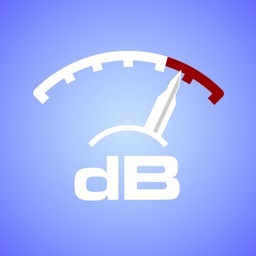 Most iOS devices will be within a few dB of this reading. 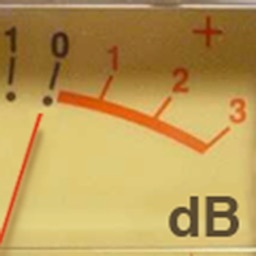 If you have access, even temporarily, to a calibrated sound level meter, just use the calibration field on the settings scree to match the meter, and you will be accurately calibrated. 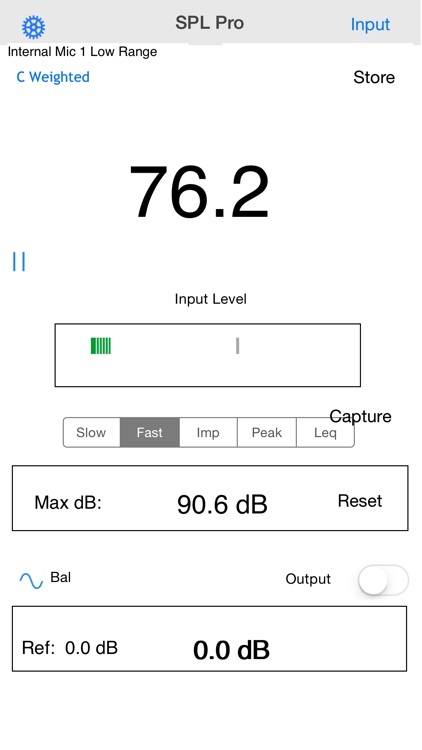 Also, see our other professional-grade audio apps: AudioTools, our premier suite of professional-caliber audio and acoustics test apps, Speaker Pop, to test speaker polarity, and RTA, a real-time analyzer for the iPhone. And, we have a group of calibrated, accurate measurement microphones, including iTestMic,iTestMic2, and iAudioInterface2, that allows full professional results for Type 1 or Type 2 measurements. This will allow measuring a range from approximately 30 dB SPL to 130 dB SPL. 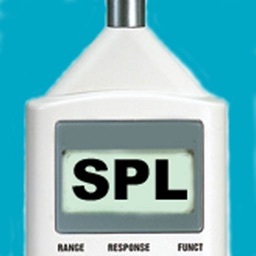 Each mic will include a calibration factor that you will enter into the SPL app for calibrated measurements. 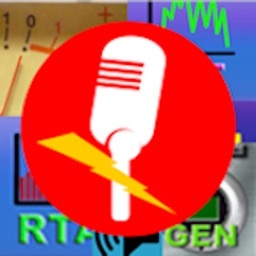 This mic will also work with Speaker Pop, our speaker polarity tester, FFT, RTA, ETC, and other acoustical measurement apps in our AudioTools app that is available now. Also, see our iAudioInterface2 system, which supports any pro test and measurement mic. 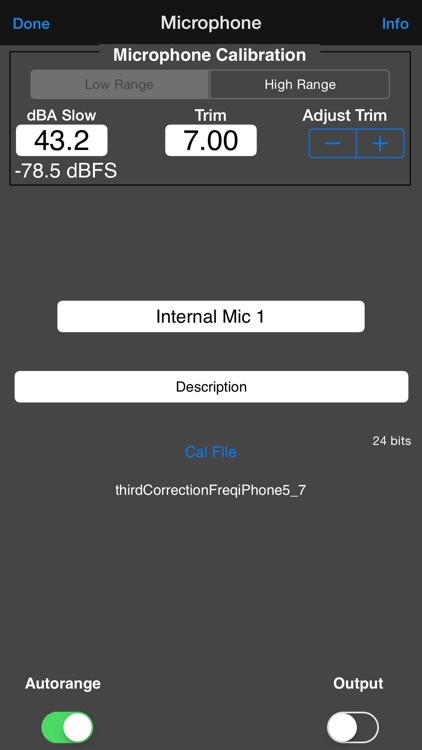 Now includes an iPhone internal mic compensation filter, to cancel out the low-frequency roll-off present in the iPhone and other iOS devices. 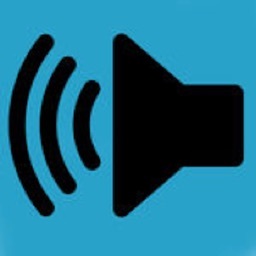 See our other audio apps, including AudioTools.